Sailor Lisa Blair, another featured panellist, will share her first-hand experiences as a female in the marine industry and discuss initiatives and strategies that marinas can implement to further encourage women in boating. “In 2017, I led the first all-female crew to race the Rolex Sydney to Hobart Yacht Race in 16 years. We received more than 130 applications to crew from around the world. During our application process we asked if women had faced gender challenges as females in the sailing industry and 95 percent said yes. They said they combatted this through working harder to prove themselves against their male counterparts and by keeping a smile on their face while doing so. The sad fact is that there is a gender gap but the gap is closing,” Blair said. 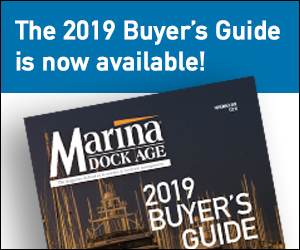 For more information and to register for Marinas19 click here.